Antaresia stimsoni or ‘Stimmie’, is hands-down the most attractive of the genus Antaresia. 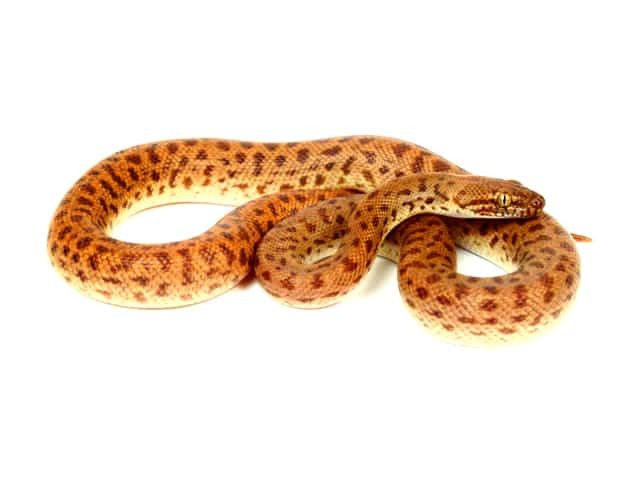 This small robust python can be distinguished from the others in the group by its mostly light background colour, with large red blotches. Antaresia stimsoni is also perhaps the most docile of the Antaresia group, making a fantastic pet for everyone from beginner to the serious collector.